One day, banks will perish. You know, the big building where bankers attend customers face-to-face and a large set of services is delivered. Even the ones that have implemented an end-only digitisation model will disappear. One day. More and more, customers don’t like cosmetic fixes, when banks design an appealing mobile app and web interface but keep the organisation’s workflows, culture, and back-end infrastructure intact. By the way, this applies to a bunch of financial institutions including credit unions and brokerage firms. Indeed, increasing fintech solutions are fulfilling current customer needs: they are born digital, they focus on customer experience, and they are available 24/7. They don’t offer all financial services a customer could require, but tailored-made solutions, customer centricity and agility that make them game changers. The increasing use of AI and automation will make their solutions even more appealing and powerful. Customers are changing how they interact with financial institutions: instead of keeping a long-term relationship with one bank, they have diverse “financial affairs”, each with a specific purpose. Another factor pushing banks to think differently is the growing demand for services that take into account the environment and how it’s impacted. Millennials’ trend, general public concern, politicians’ new Trojan horse – call it what you prefer – sustainability is going mainstream, and it’s positioning as one of the main topics in the financial services agenda. Think of ESG, for example. On this regard, The European Commission has already initiated an action plan for sustainable finance to promote sustainable investment in Europe. One day, banks as we know them today will perish, but banking will live long and prosper. The services they deliver have existed for centuries and will stick around for long. Newcomers will bring about different ways, not-yet-imagined approaches to fulfill essential financial services that banks offer nowadays. The key is and will be the consumer, and a healthy, dynamic workforce that adapts quickly to new technologies and customer demands. This article is an attempt to summarise the most interesting ideas of the Banking Day 2019. A couple of weeks ago, this Luxembourg flagship event gathered well-seasoned speakers and the banking community to share ideas on the transformation of the banking sector and business sustainability. Frank Krings, CEO of Deutsche Bank Luxembourg, analysed how fintech solutions are changing the provision of these services. In summary, while most Fintech solutions are providing cutting-edge services to clients in the financial intermediation field – payment solutions, for example – the other three are yet to be challenged. Robo advisors are successfully venturing into the advice function, especially in retail investments, and are entering the Private Banking realm too. But advice at larger investors level, or institutional investors will remain fundamentally unchanged for the time being. On the contrary, what financial technology can do, is help to humanise work. Some of the tasks that investment bankers perform during client-facing activities can receive virtual assistants’ help, for instance. There will be extinction and evolution in both, traditional banks and fintechs, Mr. Krings explained. To him, the financial intermediary field will get crowded eventually, and some fintechs will unavoidably disappear. Matthias Kröner, CEO of Fidor Bank AG who debated with him, agreed on the latter statement. However, as a businessperson who has successfully brought about Fintech solutions implemented for both, B2B and B2C clients, including governments, Mr. Kröner firmly believes that technology will drive massive change in financial services, with solutions that we cannot imagine yet. Disruption will take different shapes at all levels. To Stéphane Garelli, Professor Emeritus at IMD and University Lausanne who gave the keynote speech, new technologies and the multiplication of startups and small businesses using it to build financial products are generating a black hole effect. Even though there are successful fintech solutions, some of them have yet to prove their value to customers, and some will disappear and never prove it. One day, fintechs as we know them will perish too. Pierre Gramegna, Luxembourg’s Minister of Finance, firmly believes that “banking services won’t become extinct”. In fact, he asked the audience “Are banks becoming extinct? Let’s think of banking as a service”, he proposed. New data-driven technology is complicated; regulation is a burden; the sustainability wave is a new delirium; Fintech is a menace. We could add more statements to this list, that purposely revolves around risk-averse says in business, not only in the financial services industry. Who likes to be constantly changing, after all? There isn’t a way around this, unfortunately. How to remain relevant and answer to evolving regulatory, societal and customer demands, and to the overwhelming pace of technological advancements? That is the question. While any attempt to give you the magic formula would fail, Stéphane Garelli’s inspirational keynote gave us a hint: embed the anticipation mindset in business. What banks and most of us are doing before new trends and demands, let’s face it, is reaction-based. “Think of who will be your competitors tomorrow, and where they will come from,” Mr. Garelli recommended to the audience. Then he added, alluding to big data: “who owns the technology highway builds exits elsewhere to diversify, using the power of data”. But if anticipation can help banks maintain a proactive attitude, a systemic approach helps them induce change holistically and more naturally. Claude Marx, Directeur Général CSSF, used a nice euphemism to refer to it: “The banking system needs a homeopathic medicine rather than a chemical medicine”. For example, siloed initiatives to cope with change, whatever the factor that is driving it, are hardly the solution, because of the increasing customer centricity demands that calls for a firm-level approach. For a systemic approach to be effective and not lose ground, streamlining is a good ally. When streamlining, banks become more efficient by simplifying steps and modernising or updating techniques, or taking other approaches faster. Anticipation leads us to think of tomorrow and to be proactive. Proaction leads to action that, in turn, requires a systemic approach to make things happen and cope with new customer needs. To make the implementation and instrumentalisation of change efficient, streamlining is a good ally. The question “What does the future of banking look like?” may seem rhetorical but it’s both inescapable and almost omnipresent nowadays. In fact, the last time you shared thoughts about it with your colleagues might have been just yesterday. Under the current political instability, economic uncertainty and technological “assault”, who couldn’t be concerned? 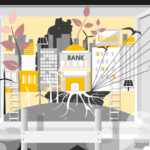 Yet the adoption of the sustainability agenda calls for the banking industry to leave behind the siloed corporate responsibility (CR) approach, when a single department, likely lost at the end of a corridor, carries out some actions that are closer to corporate philanthropy rather than proper CR actions. The first step to embedding sustainability is making a commitment to incorporating social, environmental, economic and ethical factors into a bank’s strategic decision-making. Only then, sustainability can be seen as an opportunity to find new income streams and to think of new business models. Days when climate change was considered as a governmental issue are far-gone. To illustrate this, the Global Risks Report 2019 that the World Economic Forum (WEF) released earlier this year, shows that extreme weather and climate-change policy failures is one of the gravest threats to nearly 1,000 decision-makers from the public sector, private sector, academia and civil society. If businesses want to get truly involved in the global fight against climate change, accountability, and proper frameworks that enable coordinated actions are pivotal. On this regard, Mr. Gramegna said “We need a framework to know what is green, what isn’t green; we need reporting standards, and to launch investment funds fulfilling these criteria”. His speech shows he is confident about how positive embracing sustainable finance can be for Luxembourg. One major topic discussed during the latest Banking Day was the talent shortage that banks and financial services in general are facing. 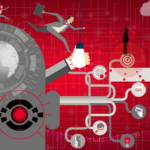 Needless to say, one of the necessary streamline processes that banks want to work on, is attracting and retaining a workforce that masters digital labour, and, in the same line, pursues the constant improvement of individuals and teams’ digital IQ. Roxane has made a particular emphasis on that aspect. 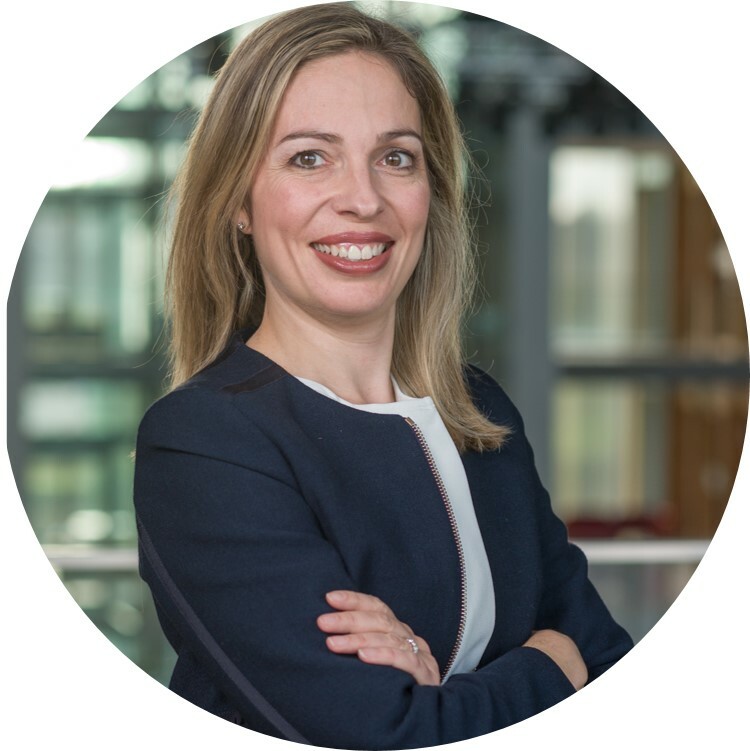 When Rima Adas, PwC EMEA and Luxembourg Financial Services Leader, opened the event, she also pointed out that, “The banking industry is facing the growing skills shortage that is undermining businesses’ innovation ability”. Although employment in the Luxembourg banking sector has improved, reaching 26,000 employees approximately, as Mr. Marx mentioned during this intervention, new skills linked to regulation, automation, artificial intelligence and blockchain, among others, are growing. There are already sound efforts that the private sector – including financial institutions – and governments are carrying out jointly to tackle skills shortage. However, although promising, their effectiveness is yet to be proved due to the unknown consequences of the implementation of new technologies in business and society. Certainly, attracting professionals from the generation of “meism” – “or the Selfie Generation” – as Mr. Garelli call it, it’s everything but easy. “They have a particular sense of entitlement and a weird relation with ownership”, he mentioned, however “they are very concerned about the state of the world”. A recent study done in America, shows millennials’ increasing preference to be their own bosses and decide where, when and for whom they want to work. We want to finish this article with some unforgettable ideas the speakers at the Banking Day 2019 shared with the audience. We apologise if you attended the event and we haven’t listed some of your favourite quotes. There were so many! Regulation is a pendulum that will continue, sometimes more, sometimes less. However, it might be an opportunity. 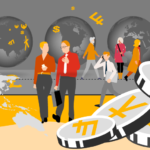 While it can lead to uncompetitiveness, it can make banks more competitive too. That’s why smart regulation is necessary, to make Europe stronger. Brexit will go, but digitalisation will stay. Digital businesses need scalability. Luxembourg can become the hub where banking expertise and technology merge. Nowadays, we need to compete for business. When facing new technology and big data, banks are struggling with legacy systems. There is need of regulatory stimulus to change interest in climate finance. Banks have to work with new entrants, but they have two advantages: being trusted advisors, and being responsible handlers of data. Smaller market entrants are using customer centricity and technology to setting new rules, so it’s important for banks to adopt an agile mindset and leave behind the risk-based approach to technology transition. Similarly, sustainability issues are ranking high in the list of priorities of financial services. Green finance is the way to face the future, but other aspects of business sustainability too, such as attracting, retaining and constantly updating their workforce.